If you’re a conservative and haven’t heard of the infamous street artist Sabo and his “Unsavory Agents,” then you have no idea what you’re missing, and what you’re missing is pure hilarity and scathing visual commentary on the current state of leftist politics. Sabo’s latest target is failed Senate candidate and current Democratic presidential candidate, Beto O’Rourke. Sabo and his fiends decided to take a brutal shot at Beto via billboard in the city of Los Angeles. O’Rourke broke some records the other day by raising $6 million for his campaign in just 24 hours, smashing Bernie Sanders and Kamala Harris’ fundraising numbers. On a billboard on the corner of Pico and Beverly Glen Blvd across the street from Rancho Park Golf Course, Sabo installed his latest satirical street art piece early Tuesday morning: transforming a billboard depicting a car crashing into a building into a satirical reference to O’Rourke’s infamous drunk driving crash and subsequent arrest back in 1998. Last year, unearthed police reports revealed that a witness said O’Rourke attempted to flee the scene of the crime. 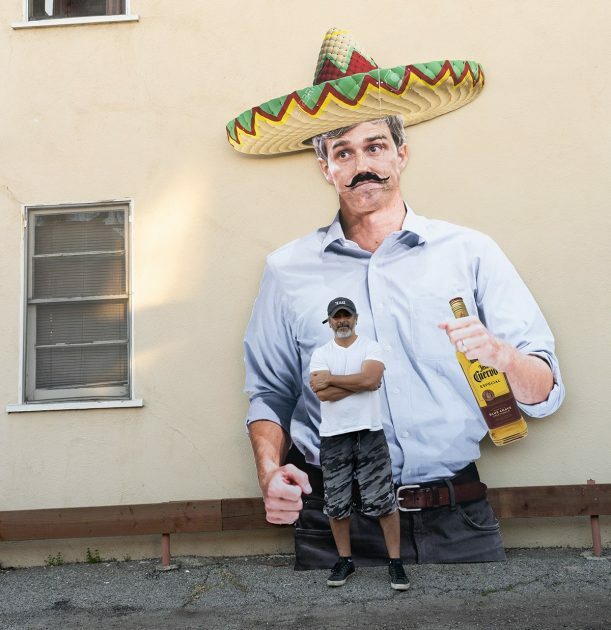 For those a bit behind on Mr. O’Rourke’s past, the reference made in the billboard is concerning his drunk driving wreck that was reported on by the Houston Chronicle. The accident happened back in September of 1998, when Beto was the tender age of 26. The “Beto’s Running” slogan has a double meaning as it hits on his presidential campaign, but also the fact that a witness of his wreck stated Beto attempted to flee the scene.